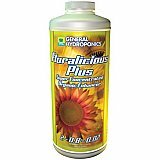 Floralicious is a plant enhancer and nutrient supplement featuring a potent blend of ingredients to boost plant vigor. The foundation of Floralicious is Floralicious Plus, our No. 1 nutrient additive. 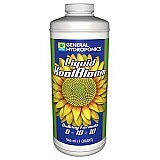 This highly concentrated solution is formulated for use in both the vegetative and flowering stages of growth. Packed with powerful seaweed, Vitamin B1 and nutrients, Floralicious Plus enhances colors and aromatic qualities. Floralicious Grow, specifically blended for vegetative growth, improves nutrient assimilation and helps build the foundation of root and leaf mass that's needed for superior harvests. 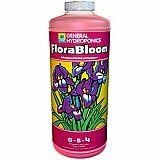 Floralicious Bloom, specifically blended for fruiting or flowering stages of growth, improves colors and yields in flowering plants. 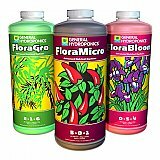 Whether you're using prepared soil or soilless mixes, coco blends, or hydroponics, Floralicious can help you bring out the best in your plants. Calcium and magnesium are a necessary part of growth for many plants, but that doesn't mean they get as much as they need naturally. 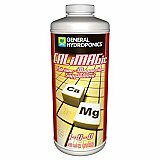 General Hydroponics CALiMAGic provides the supplemental elements necessary to optimize plant nutrition and to prevent all-too-common problems. FLORA SERIES IS THE MOST WIDELY USED HYDROPONIC FERTILIZER IN THE WORLD BECAUSE IT IS THE BEST! 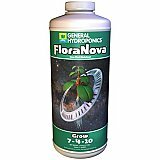 General Hydroponics Diamond Nectar accelerates nutrient absorption into plant roots through a natural process called mineral chelation. Low molecular weight Humic acids grab immobile & molecularly heavy minerals & transport them into plant tissues for faster growth & bigger yields. 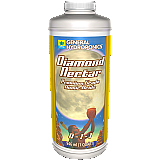 Diamond Nectar is extracted from naturally mined Leonardite with a high profile of low molecular weight Humic acids. pH buffered for ideal plant growth: 5.8 to 6.2. 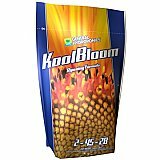 Use for all plants in prepared soil/soilless mixes, coco blends & hydroponics. 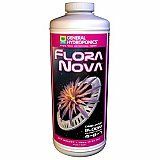 Clear those concerns and get a cleaner system with General Hydroponics FloraKleen. Even when fruiting and flowering plants are productive, an extra pop of powerful sugars can intensify sweetness and aromas. 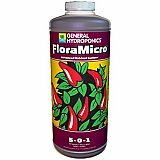 FloraNectar gives you that burst, in a unique blend designed to take your plant to the next level. 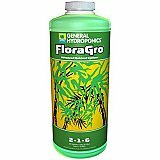 FloraNectar is formulated with molasses and essential minerals to deliver numerous benefits for both plants and soil. It offers an ideal food source for beneficial microorganisms, increasing their growth rate to boost soil respiration. The beneficial process of respiration releases carbon dioxide from the soil so that plants can use this naturally occurring chemical compound for growth. FloraNectar comes in six flavor formulas: FruitnFusion, PineappleRush, BananaBliss, GrapeExpectations, SugarCane and BlueBerry Dream. These bring a higher degree of aroma to fruits and flowers. No matter which formula you choose, FloraNectar will help your plants regulate key metabolism processes. This allows plants to achieve a balance between respiration and photosynthesis, leading to more abundant fruiting and flowering activity.